The Algarve is the perfect golf course. With a mild climate of sunshine almost 365 days a year. The golf courses in the Algarve, were designed by internationally renowned architects, with an excellent layout and excellent quality accommodation, and for this reason that the Algarve region is poised to remain a favorite destination for golfers from all over the world. With about of 46 golf courses, with new developments and condos with excellent quality properties to promote a healthy lifestyle for golf lovers. 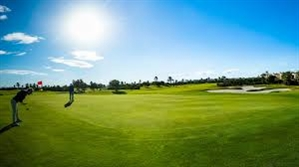 The Boavista Golf Resort is situated on the magnificent Atlantic coast of the western Algarve between Lagos and the popular holiday destination Praia da Luz. Boavista is located directly on the national road from Lagos to Sagres and is a 7 kilometre drive from the end of the A22 motorway (exit 1). The course at Boavista Golf Resort opened in January 2002 and quickly became established as one of the Western Algarve’s premier courses. This impressive 18 holes championship course offers exceptional playing conditions and was designed by Howard Swan, a renowned UK based architect. Boavista offers two distinct parts – the Resort Section near the club house (the 1st to the 3rd and the 13th to the 18th) and the Country Section (the 4th to the 12th) nearer to the coast. The par3’s are particularly strong and no golfer who has played over the ravine at the 194 metre 6th will ever forget the experience. From holes 13 to 17, water features, which form part of the irrigation system, have been added and they provide a safe haven for the wildfowl which now abounds in the area. In the club house you will find an extensively stocked golf shop as well as superb dining facilities. In the well equipped health club a wide range of treatments are on offer. The impeccable services at Boavista Golf are completed by an excellent golf academy. Visitors enjoy spectacular views over the nearby city of Lagos down to the Atlantic coastline and up to the mountains of the Serra de Monchique. Palmares is situated in the western Algarve in an elevated position overlooking the bay of Alvor between Portimao and Lagos. From the national road EN125 in Odiaxere it is almost a four kilometer drive, and less than 9 km from the A22 motorway (exit 2). 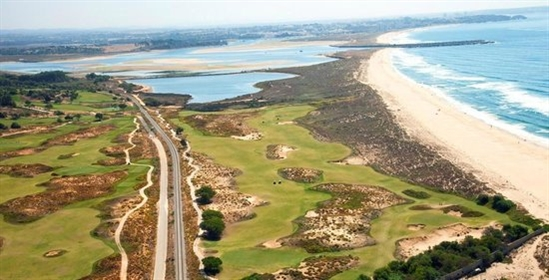 With a unique combination of dunes and hills, Palmares was one of the first golf courses in the Algarve, designed by Frank Pennink in the 1970’s. 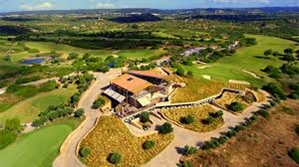 In 2010/2011 the course was completely redesigned and transformed into a 27 hole course with three loops by the famous US architect Robert Trent Jones Jr.
Alvor Course: located primarily on the northern part of the site, it has a parkland character with mature trees and lovely views of the Monchique hills. Changes in elevation are integral to the design of this nine as a majority of the golf holes ascend hillsides or descend through narrow valleys. The parkland setting disappears briefly with a series of holes with more expansive views. A preview of the dunes and links holes to come is available from the sixth and seventh holes. As the round concludes, the course again assumes its parkland character. Lagos Course:This begins with the same parkland character. The course incorporates the only two lakes found on the entire site at the short par-3 third hole and the long par-4 sixth hole. Holes seven and eight immerse golfers in the expansive dune lands on the southwestern section of the site. The round concludes with a climb to the clubhouse and back into a more parkland setting. Praia Course: The third nine at Palmares presents the golf experience every great designer dreams of having the privilege to create: a seaside landscape with dunes exposed to the elements. The four seaside holes are between the beach and the railway line. The course opens by descending from a parkland setting. The second hole then whisks golfers into the true links part of the course. This dunes character is continued through the remainder of the Praia Golf Course with the closing hole, a strong uphill par-5, rising up out of the dunes through a deep valley to an amphitheatre just below the clubhouse. 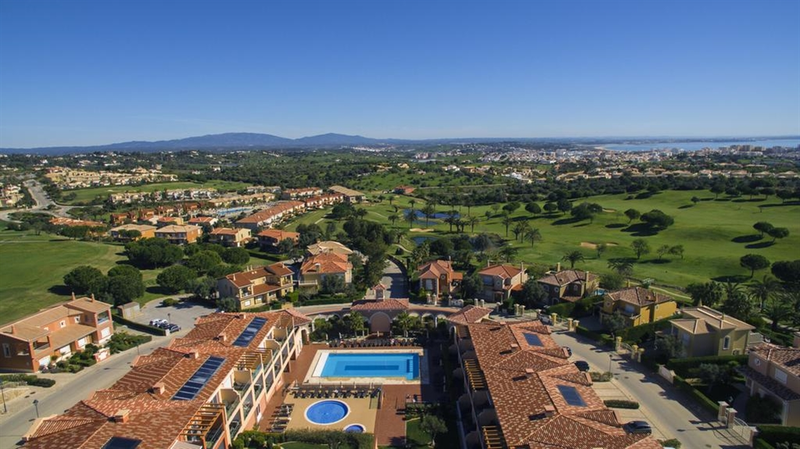 The clubhouse with great views to the Ria do Alvor is located in the centre of the action. On the driving range with elevated tee boxes and stunning sea views, golfers can have a unique practice experience with six real greens to aim at protected by bunkers and with the rough and fairways defined. 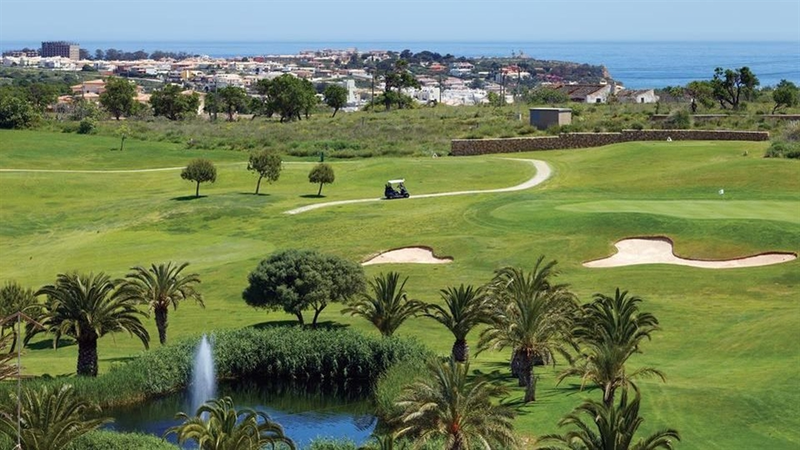 Enveloped in different environments, with stunning views over the bay of Lagos, this golf course provides an exciting playing experience especially in the holes framed links in the sand dunes along the Atlantic coast. In a system of returning nines, golfers will always have the backdrop of the mountains of the Serra de Monchique and the sea. 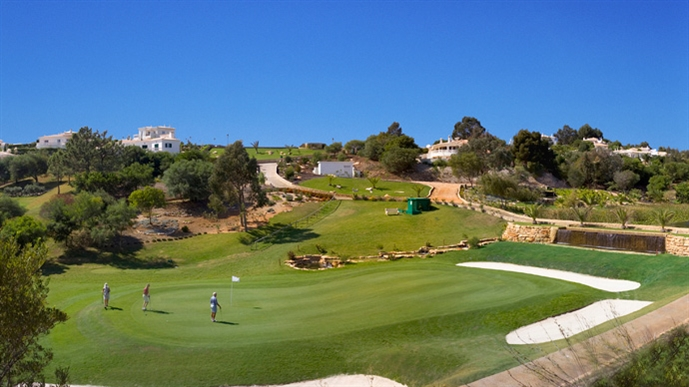 Espiche Golf is situated in the interior of the western Algarve near Lagos and Praia da Luz. It is set in an open landscape with vineyards a few kilometres from the coast of the Atlantic against the backdrop of the mountains of the Serra de Monchique. From the national road EN125 between Lagos and Vila do Bispo it is only a six km drive and around 12 kms from the end of the A22 motorway. 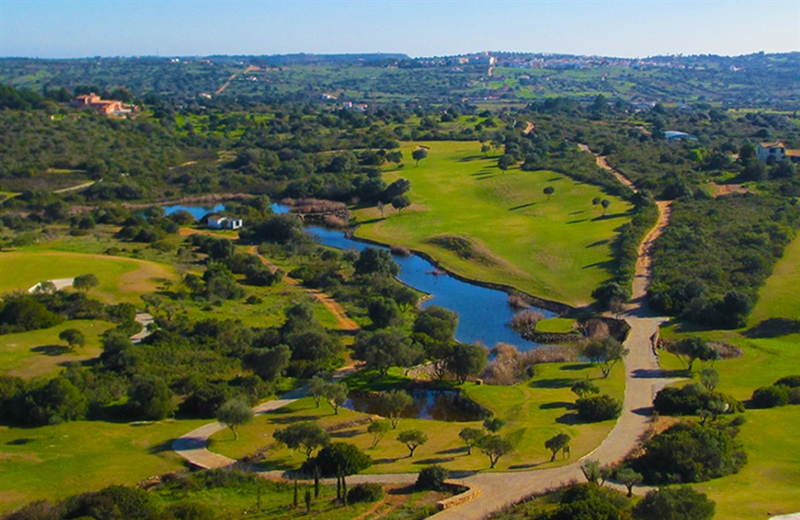 This gently undulating 18hole par 72 course blends into the Algarve landscape. Its lakes, streams and indigenous plants add to the enrichment and biodiversity of the area. The fairways cleverly make full use of the natural undulating slopes and hollows calling for precise and thoughtful driving while the brilliantly sculpted and sited greens require players to use their full range of pitch shots. Built into the hillside on the site of an old Algarvian farmhouse, the clubhouse is the perfect place to relax after a great round, as you enjoy panoramic views across the entire course and surrounding terrain. A practice facility is located close to the main entrance. The practice area and the golf academy offer programs for individual players and for groups. 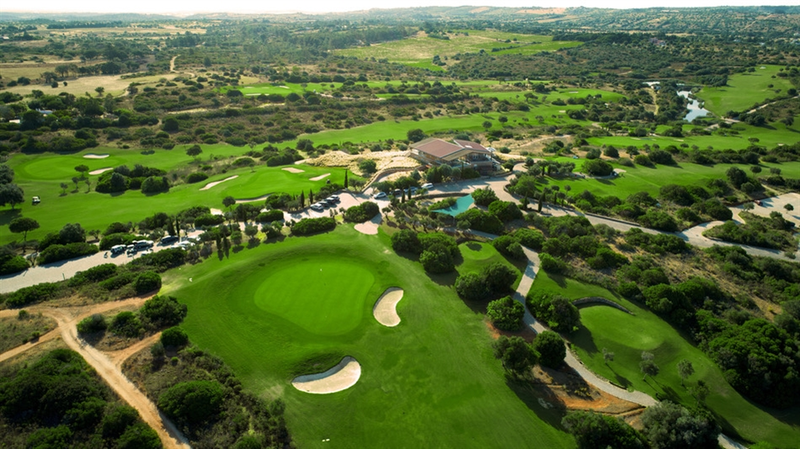 Espiche Golf is one of a few courses in the Algarve without any towering hotels, condominium projects or villas lining the fairways. Nothing prevents golfers from enjoying the natural beauty of the area framed by the majestic Monchique Mountains in the distance. In Quinta da Floresta, set in the unspoilt and peaceful natural landscape of the Western Algarve, you will experience the perfect combination of a golf and wellness holiday. Quinta da Floresta is situated on the border of the natural park of the so-called Costa Vicentina between the historical harbour town of Lagos and Sagres. The Parque Natural do Sudoeste Alentejano e da Costa Vicentina, stretching along the Atlantic Ocean from Cape St. Vincent on the southwestern tip of continental Europe to the Alentejo is one of the largest natural reserves in Portugal. Santo António Villas Golf & Spa disposes of modern holiday villas with 2 or 3 bedrooms and balcony, several of them with private pool. The best-known place on the west coast is Sagres, of historical importance under Henry the Navigator during the Age of the Portuguese Discoveries. Today Sagres boasts one of the best fish markets in Europe and is home to various surf camps and schools. In October the areas around Sagres and Cape St. Vincent are particularly sought out by migratory birds, making their way to Africa each winter – a great opportunity for bird watching.